This is sweet! Nice work indeed. 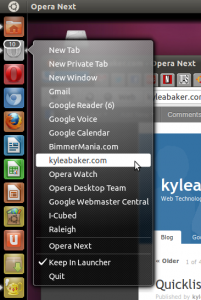 Pingback: Opera gets some Unity love; tab badge, quicklists and more » genool.ueuo.com - Sit, Relax and Read! 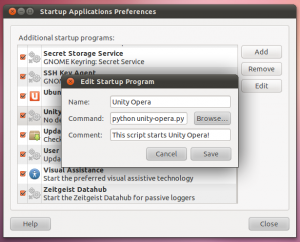 Can you open Synaptic and make sure that you have the following package installed? Thanks! Now it works! I think this package should be mentioned in article. I’m not sure what happened for your installation of Ubuntu, but it was installed by default for me. Can I upload the file to chinese netdisk? 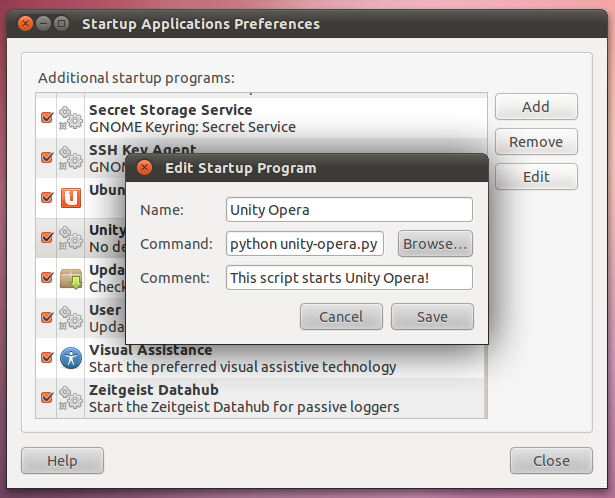 I have a fresh install of ubuntu 11.04 and I am trying to set opera 11.10 as my default browser I’ve tried with preferred applications but it does not give me any option other than firefox. I have also looked at opera->menu->settings->preferences and I cannot see an option there to set opera as the default browser either. Is there any way to set Opera 11.10 as the default browser in ubuntu natty nawhal 11.04? Regarding count, would not it be better to count messages in M2? I personally never cared how many tabs I have opened (and I think it clutters the interface a bit) but e-mails would be useful. For me too the tab count is quite useless. Otherwise I love it, thank you very much! you can always run it with args and leave out the tab count. Thats why I added these options (as mentioned in the post). Do you plan to set up a project site/source code repository for it? Like on launchpad or something? Might be nice so people could share ideas and code. Feature-wise, I think the tab count is not the best use of the counter. The counter normally should display items one should act upon (like unread emails) and/or are temporarily of interest (like active downloads). Personally, I’d think the loaded-but-unvisited tabs (those with the small dot on them in Opera) would be worth displaying in the count, but not all tabs. Chromium and Firefox count active downloads, so this might be a good idea for consistency’s sake (although probably difficult to implement?). Code-wise, I think some things could be solved more elegantly, like making use of the stdlib for some things. E.g., using OptionParser for commandline options could simplify things, and maybe even ConfigParser could be used for parsing the .ini file. But these are small areas for improvement, the script is already good! I partially understand you’re request after translating, but if you ask this in English then I may be able to answer you better. I’m getting a duplication of speed dial entries when using some of the defaults. It picks up both “redir.opera.com…” and the actual link and displays a duplicate in the right click menu. I fixed it by deleting all the default speed dial entries and substituting my own. Regarding tracking download progress i think it could be done. You could get file location, and total file size (received from server) using this command. Then simply check current file size in given location using “stat”. Of course in some cases server doesn’t send file size, then progress could keep going in loops until file size stops increasing, or not even run at all.